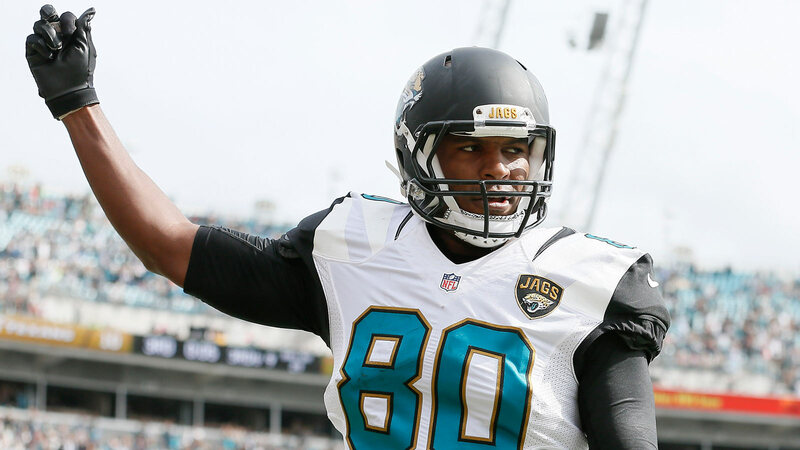 Six games into the season, tight end Julius Thomas is starting to show why Jacksonville signed him to a five-year, $46 million dollar contract as free agent in March. Sunday, Thomas caught his first touchdown as a member of Jaguars, hauling in 29-yard pass from quarterback Blake Bortles in the third quarter of the team's loss to the Houston Texans. The touchdown reception gave the Jaguars a 14-10 lead heading into the fourth. Houston went on to win 31-20. In all, Thomas caught seven passes for 78 yards on the afternoon. The five-year veteran missed the Jaguars first four games while recovering from hand surgery Sept. 1. He made his season debut in the team's Oct. 11 loss to Tampa, catching two passes for 20 yards.